Social phobia, better known as social anxiety disorder is an irrational fear of social interactions like parties, other social events, family get-togethers, picnics etc. Social anxiety disorder is a part of a group of phobias which involve a specific, constant and extreme fear of a particular object or situation. This fear is unwarranted and could stem from a past experience. The extent to which a person avoids social interactions is indicated by the fact that the person might avoid eating or speaking in public, meeting new people and even refrain from using public bathrooms. There is a marked difference between Social phobia and shyness. A shy person is quite able to participate in social interactions with a little hesitation. A person suffering from social phobia dreads social interaction to a level where it affects his/ her ability to function at work or in relationships. This disorder could affect both males and females alike. It is often seen to begin during adolescence up to the age of 25. This could more often than not result in heavy dependence on these objects and ultimately lead to alcoholism or drug addiction. A person with social phobia may be extremely self-conscious and self aware about his appearance, speech, posture, gait and sense of dressing. He/she might also always be anxious and display all other symptoms of anxiety. Before any approaching social interaction opportunity that he/ she is aware of in advance, he/she could be irritable and restless and present it in the form of extreme anger or bouts of crying. This situation could also interfere with normal day-to-day activities like homework or other school work, projects, studies and extra-curricular activities. The important aspect about this disorder is that the person with social phobia might realise that the fears are unwarranted and unreasonable, but might not be able to control the anxiety or fear. The simple aim of treatment of social phobia is to restore ‘Social functionality.’ However treatment methods might differ considering the severity of the disorder. Suppressing symptoms with anti-anxiety drugs or anti-depressants could only relieve the patient of the visible symptoms but not completely cure the condition. Also, anti-depressants may be risky for young adults, children and adolescents. Also, these anti-depressants lead to several side –effects like nausea, vomiting and headache and add to the already existing woes. Hence it is essential to go ahead with a Behavioural treatment and rather than a symptomatic relief with the use of anti-depressants. The cognitive behaviour therapy is also a type of psychotherapy which teaches the patient different ways of thinking, behaving and reacting to situations involving social interactions. 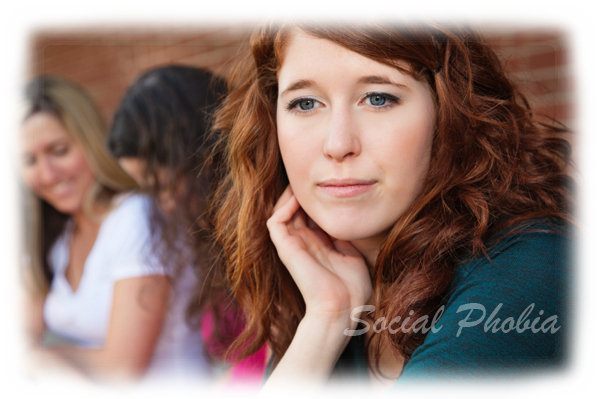 A person suffering from social phobia experiences certain specific thoughts that lead to a change in his/ her behaviour. Cognitive therapy helps the patient understand the root of those thoughts by pinpointing the changes that such thoughts are causing in his/her normal state. It also helps the patient learn about the phobia causing thoughts in greater details, their triggers and the memory associated with such thoughts. It then successfully helps the patient replace such thoughts with positive and motivating thoughts.This leads to a refreshed confidence level over a period of time and gradually the patient overcomes his fears and attempts social interaction. Exposure therapy, also called systematic desensitization is also used to treat social phobias. The patient is asked to relax and think of all the triggers that lead to anxiety. He/ she is then asked to rate these as the least fearful to the most fearful. A gradual exposure to social interactions where the patient is taught to control fears causing the anxiety under guidance leads to a change in the mental state of the patient. Progressively, a healthy change is observed in the social interactions and behaviour of the patient. In this training session, several role plays which are replicas of real life situations are carried out. Social simulations and modelling are also techniques that can be practiced during the social skills training sessions. It is important to increasingly wean the patient from excessive use of caffeine, sleep inducing cough and cold syrups, chocolates and other non-harmful eatables which could tend to be addictive. A good night’s sleep, regular exercise, reading, balanced and timely diet and a healthy appetite definitely reduces the stress. Positive lifestyle changes could bring about a positive change in attitude and the mental make-up of the patient. It is important for the care-giver to exercise caution and not aggravate the condition of the patient. The Astounding Effects Of Cold Shower: Get Your Body Revitalize!